I had my doubt of of oval rings cured years ago, although being young & poor I could never afford to run one! I was around when Shimano’s embarrasing ‘Biopace’ experiment was still refusing to die off, but I met an engineer called Chris Bell who had a workshop in Wales about 5 minutes from where my parents lived. As cyclists do, we chatted about all things bike & he showed me round his workshop. Amongst other custom products he’d been making Egg-Rings (a range of round, elliptical & other shaped rings) since before Shimano made their (very rare) mistake. He’s retired now but some of his products are still made by Highpath Engineering. The mags at the time were full of advice to avoid bikes with Biopace because they actually made a bike less efficient, harder to pedal and possibly more likely to cause injuries; the orientation of a Biopace ring being exactly opposite to what it should have been. This unfortunately had a negative effect on many serious riders’ views of oval/elliptical rings in general, despite everyone else’s being fine! People still remember Biopace when anyone talks about non-round rings and assume the modern ones are similarly flawed. Just check out any forum/facebook post on ovals and someone will say “seen it before” and talk about Biopace. At the time there were some other lesser known Biopace clones too, as well as various others that worked. To stop me rambling, if you’re interested have a look at Chris’s website and a handy history of non-round chain rings. Anyway, the long & short of it is that an oval or elliptical ring orientated correctly WILL do what it’s supposed to do, which is give you a higher (harder) gear when you can use it and then an easier gear at the dead spot where you have the least power. This isn’t necessarily suitable for every style of bike & rider but it does work particularly well on mountain bikes and single-speeds, although not exclusively. Absolute Black’s site & facebook page has some info and video explaining why they like oval rings. Biopace gave an easy gear where you had most power, then a hard gear where you were struggling at the dead spot! So, it does it’s job extremely well. Main difference between these & older oval/ellipticals is the narrow/wide profile which is designed to keep the chain in place. I wondered if the oval profile would result in one or two chain losses but not so far after a good number of miles & rocks. It felt weird in the first 1/2 mile but then on familiar climbs I could immediately feel the difference. It’s noticeably more efficient, more-so the harder you have to push. On fast flat sections & downhills there’s no downsides but you get more benefit on climbs. The 32t I’m running is effectively a 34 when you have the most power, but feels faster than the 34 round I was running and easier on climbs than the 34. I’m running the “Black Series” version which is the same as their standard rings but with less machining so weighs a bit more. The functional bits are the same though, but it costs less and is only available through Chainreaction. And if you’re curious but not convinced they will let you buy an oval from their site, use it for 30 days & if you don’t like it they’ll swap it for a round ring for nowt! This entry was posted in Chainrings, Enduro DH, MTB components, XC on September 5, 2015 by steve. So, er, with a first impressions and a long term review for Banshee’s Rune a 3rd one could be seen as a bit excessive?! However, this one will be short as it’s just to give an impression of the ride with 650b wheels compared to 26″. ‘Why make the change?’, you might ask. I’ve long been a supporter of 26″. You can make awesome 26ers. IMO the wheels are big enough & they allow lots of flexibility with geometry and especially with longer travel bikes the advantages of larger wheels are not so great. But it seems the industry is trying to kill it off and I decided to make an economically sound decision for once and sell the 26″ forks while they were in good condition & not yet considered totally obsolete! I’m not against other wheel sizes I just don’t get why we aren’t allowed as many good tyres in 26″ any more! Are there any differences? Apart from the forks performing better, the big positive with the swap over is that the bike is better balanced in the air. It was already good, now it’s extremely good! Handling wise on the ground very little has changed, it still corners, steers and soaks up trails as before. The 650b dropouts are only available in 142mm which is more or less standard & they are slotted for easier axle fitting. It wasn’t that hard before but it’s even easier now. If you’re really looking & you pay a lot of attention to components on, er, all bikes, you’ll notice there’s a 12mm QR instead of the standard bolted one. It’s RS Maxle standard, but not a Maxle. More about that in another post. So although there’s not a huge amount to write, I’m pleased with the change. It’s always been a hugely fun bike to ride but it’s genuinely improved as a 650b I think. Also keep a look out for a tyre review of the Vittoria (Geax) Barzo & Goma tyres in the next few weeks/months as well as the One-Up 42 & 16 tooth sprockets & RAD cage. This entry was posted in 650b, Enduro DH, Mountain Bike Reviews, MTBs, UK designed and tagged 26er, 650b, All Mountain on July 23, 2015 by steve. Obviously it gets the word around that skills coaching is effective! It has to actually work for there to be any appeal..! Many people just hope for the best, but everyone who’s had some coaching with Chasing Trails has been surprised with the progress achieved. One thing I’m always surprised by is the number of racers who avoid learning skills that could be the difference between a crash & a personal best. Since then James started racing & replied to a facebook post/tweet asking if anyone was interested in being sponsored in the form of skills coaching. I knew he was serious about the racing; despite living down south I’ve often seen him ride past on the trails at Dalby while I’ve been teaching. Having gained a lot from the skills session way back, James was keen to build on it & refine things as well as refresh in case any bad habits had crept back in. When I first started to get really serious about mountain biking, my adventures took me out into the wilds of the Suffolk countryside. A part of the UK that doesn’t boast epic hills, radical descents or even a remotely gnarly drop-off… But at the time, it really was all I knew about riding cross country and embarrassing as it to admit it, I did fall off quite a few times. With time I grew more confident and started to venture further afield. First to Thetford Forest, then Cannock Chase and eventually over the border into Wales and to the Grand Daddy of them all, Coed y Brenin. CyB was a total culture shock for someone who had spent their cycling life in the East Anglian flat lands. I probably walked/slid/fell down most of the descents and came home with more cuts and bruises than I’d have sustained in a round with Tyson in the ring. I’d read about skills courses in magazines, riding buddies spoke about them in hushed tones but never admitted to having even considered them. Bravado is big in cycling and to admit you have a weakness will mark you out as less of a hard man (Just go on a bike forum and post on there that you are scared of descents and you’ll see what I mean!). After considering the options – broken collarbone vs reputation in tatters with the biking hard men, I chose the latter and booked myself on a skills course with Chasing Trails. There are plenty of skills coaches in the country that you can choose from. Some are quite eccentric, others are quiet and unassuming. I chose on reputation rather than marketing. Steve from Chasing Trails initially spent some time riding with me on the trails at Dalby, analysing my riding style and quietly building a list of things that we needed to concentrate on; riding position, how I moved my body weight in corners or in drops. These are things that you wouldn’t really think about until someone actually points them out to you. With the bad habits ironed out, the next focus is on learning solid technique, understanding why it works and getting the skills into body memory. Body memory allows you to do the right thing before you have to think about it! Like driving lessons, a skills course will not instantly make you into the greatest rider that ever lived. You still need to practice and develop your riding over time. 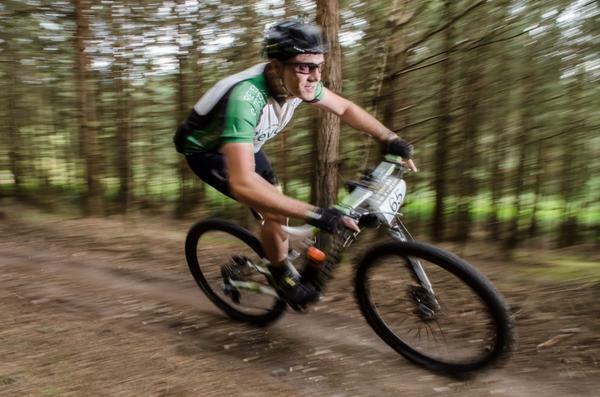 But from a course you will come away with added confidence, knowledge and a better understanding of how to handle your bike and yourself when negotiating technical terrain. Following the skills course I went back to Coed y Brenin and this time I had both the technical knowledge and the confidence to make it down all the descents on two wheels! Chasing Trails is small (just me, Steve) and so there will only be space for 1 more sponsored rider. In the interests of balance this will be a female racer. If you race XC, Endurance or Enduro & you know your riding will improve with some skills work, get in touch! This entry was posted in 1:1, Courses & coaching, Endurance, Enduro DH, motivation, MTB racing, Riding, XC and tagged 1:1 MTB coaching, Chasing Trails, Coed y Brenin, Dalby Forest, mountain biking, mtb, MTB skills coaching, MTB skills training, XC racing on July 30, 2014 by steve.